We have had a lot of agents approach us about an IDX solution for British Columbia and Ontario. We are super excited to announce that now we are providing MLS Search capability using IDX Broker Platinum for Realtors, brokers, and brokerages in Vancouver BC and Toronto Ontario areas! These are some of the first areas that IDX Broker has provided international service to. I have been contacted by Agents looking for IDX Broker for Vancouver area and IDX Broker for Toronto area, and even Alberta in the last few weeks looking for an affordable IDX solution to integrate to their WordPress real estate websites. It typically takes about 1-2 business days for all the paperwork to get signed by the MLS, broker, and agents. Then we can get your site integrated within about 1-2 more business days. For a standard install we charge just $99 to integrate IDX Broker Platinum to your WordPress real estate website and create up to 5 custom landing pages using search criteria that you provide for us. We also provide you with our world class customer support! Signup for IDX Broker Platinum today by visiting Platinum.RealtyCandy.com and get your IDX in Vancouver or Toronto areas for just $39.99 per month! Training videos and more for just $59 per month! We setup all the tools, you just signup here. 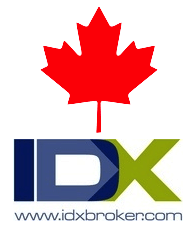 Pingback: IDX Broker Platinum for Vancouver and Toronto now available!